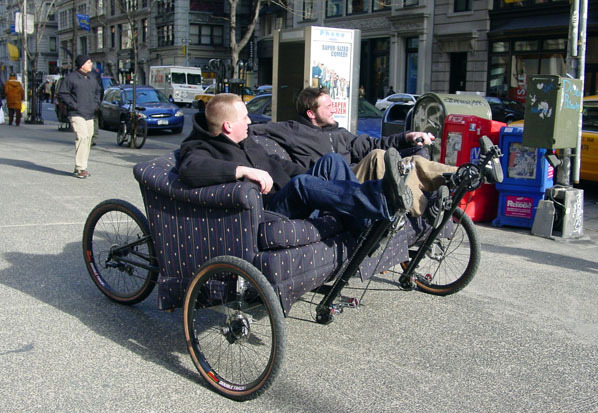 Today was the FHM Couchbike photo shoot. 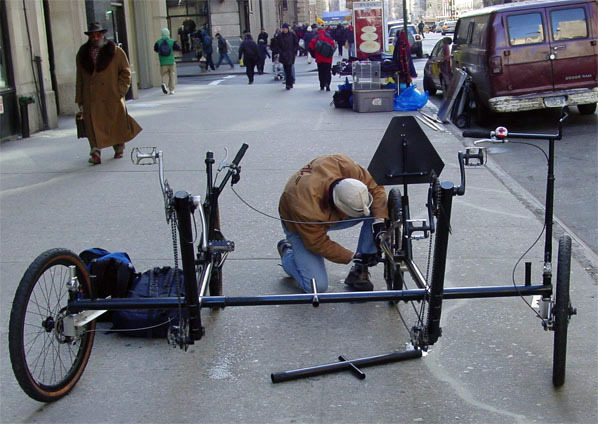 Glenn and I turned up early at the FHM headquarters so that we could assemble the frame outside. It was about -5°C and windy so it was painful handling all of the metal pieces. Tom and Sam from the magazine had picked out a couch from a local thrift store and told us the measurements. 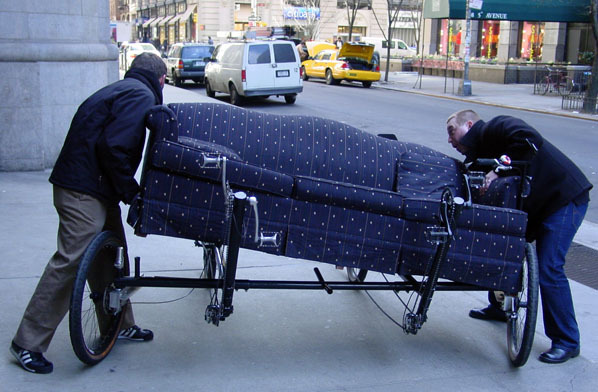 The one they bought was a great big three seater, so we had to fully extend the frame. I barely had enough cable housing to handle the wide spacing. 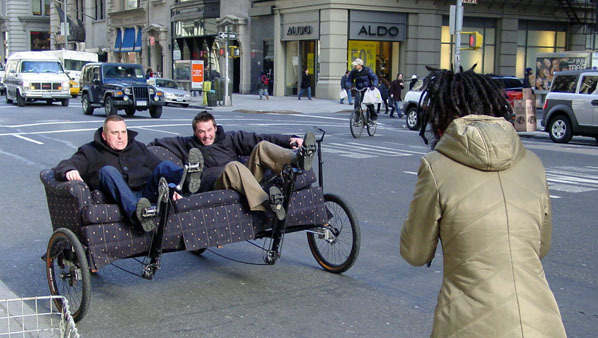 Tom had planned to shoot a series of photos documenting the selection of the couch at the thrift shop, the mounting of the couch on the bike and some action shots of them riding down the streets. We tried to stay out of the way of the professional photographer, but I caught some of the action with my own camera too. Watch for this article in the April issue of FHM! You are currently browsing the Bicycle Forest Blog weblog archives for January, 2004.